Some people get confused by just how many Irish-lucky-leprechaun slot machines there are in casinos and online. It’s simple really, everything about this theme points to being lucky and winning lots of money. Some of the classic symbols of Irish fairy tails include Pots of gold at the end of rainbows, wishing well’s, four leaf clovers and little leprechauns. That is why WMS came up with Leprechaun’s Fortune, because there is just something about the Irish spirit that makes your feel lucky. However, as much as I do love an Irish-themed slot (Rainbow Riches comes to mind), this particular slot is a bit lacking in my opinion. 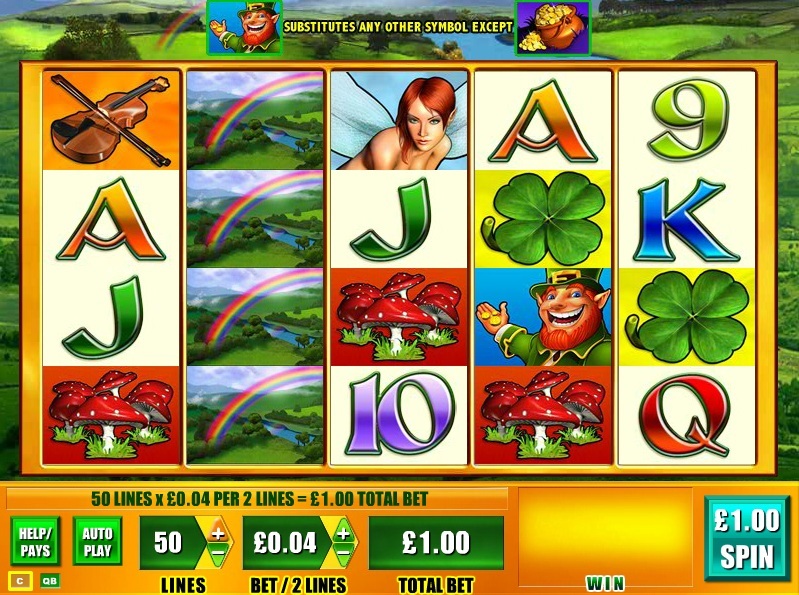 It has a very simple 10 free spins when you land a pots of gold on each of the first 3 reels. 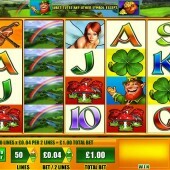 During the free spins the lucky leprechaun wild symbol may appear. If he does then he will remain in position for the rest of your free spins. You can get multiple sticky wilds, giving you some nice wins. Whenever I play this slot I always want the sticky wilds to occur quickly and on reels 2 and 3 if possible. This will give me more chance of getting some decent rewards. Leprechaun’s Fortune is certainly not my favorite slot in the WMS range, but it does have a certain amount of charm. Other simple slots from WMS include the 5 reel Egyptian Riches slot and the medieval-themed Black Knight.